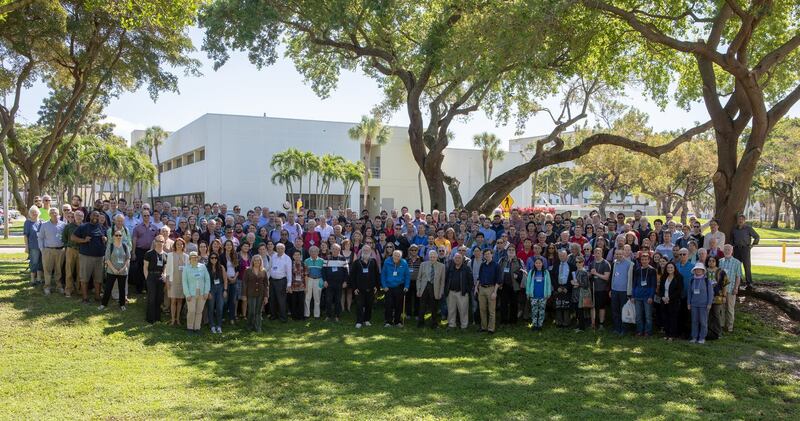 The Department of Mathematical Sciences hosted the 50th Southeastern International Conference on Combinatorics, Graph Theory and Computing (SEICCGTC) on March 4-8, 2019 on the FAU Boca Raton campus. This longstanding conference has been hosted by FAU’s Frederick Hoffman, Ph.D., a Professor of Mathematics, for 40 of the last 48 years. Hoffman has been with the University for 51 years and has been integral in the growth of the annual gathering of mathematicians. Hoffman states, “The conference helps promote the dissemination of important advances in techniques and algorithms to assist in one’s research. On its 50th year, the conference drew over 400 attendees from across the world, and included over 220 talks.” Click here to see photos . The SEICCGTC is an integral part of the research and instructional makeup of the University. Hosting the conference is a significant highlight of the reputation of the Department of Mathematical Sciences, and the University as a whole, in state, national and international arenas. This year's SEICCGTC conference featured outstanding plenary lectures by distinguished speakers, including several leaders of the international mathematical community. Some speakers have been intimately involved with the conference since its beginnings. Topics of the talks included: the history of the conference and its disciplines, significant developments and new breakthroughs in the field, and exciting new research. One stimulating lecture was on "Combinatorics and Music," and another was on “New Developments in Cryptology.” In addition, there were special sessions of papers on specific areas, and general sessions for contributed papers throughout the week. SEICCGTC came to be due to a major international conference on combinatorics, graph theory and computing, which was held on the Mona, Jamaica campus of the University of the British West Indies in 1968-1969. Its success stimulated Ralph Stanton of the University of Manitoba, Ronald Mullin of the University of Waterloo, and David Roselle and Brooks Reid of Louisiana State University to organize the Louisiana Conference on Combinatorics, Graph Theory and Computing, a mini-conference, held at Pleasant Hall on the campus of LSU in 1970. This event was a success, and led to the Second Louisiana Conference on Combinatorics, Graph Theory and Computing in 1971. 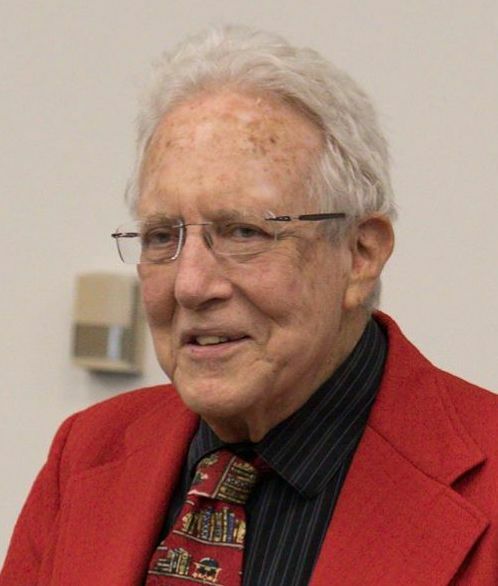 In April, 1971, Ronald Mullin came to Boca Raton to invite the FAU Department of Mathematics to host a third conference, which was titled the Third Southeastern Conference on Combinatorics, Graph Theory and Computing. The first three conferences had fewer than 40 participants, the fourth passed 50, and there were more than 100 participants at the fifth – we were a mini-conference no more! The conference now had a rhythm. We alternated between FAU and LSU until the thirty-second year, but with FAU hosting a greater number of the conferences each decade. Participation continued to grow for a long period. Paul Erdos, who had been at the second conference, was part of the all-star cast at the fifth, and his Thursday morning lecture became an institution, continuing for the rest of his life, missing only one year, albeit once requiring a redefinition of Thursday. With the sixteenth conference, “international” was added to make the title more accurate. We try to foster and two create collaborative research, and our program of evening receptions contributes to this. In recent years, we have had a program of excursions which showcase some of the features of our area. Our list of plenary speakers has included a large number of the leaders in the primary topics, as well as others in related fields, such as group theory, number theory, geometry, linear programming, coding theory and cryptology. We also feature promising young researchers in modern applied mathematics. We received major funding once from the U.S. Department of Transportation, for several years from the Office of Naval Research Discrete Mathematics Program, once from Elsevier, and this year, a grant from the National Science Foundation for student support. We have received annual support from the Institute of Combinatorics and its Applications. Our greatest benefactor has been the National Security Agency, with more than 30 years of indispensable support.